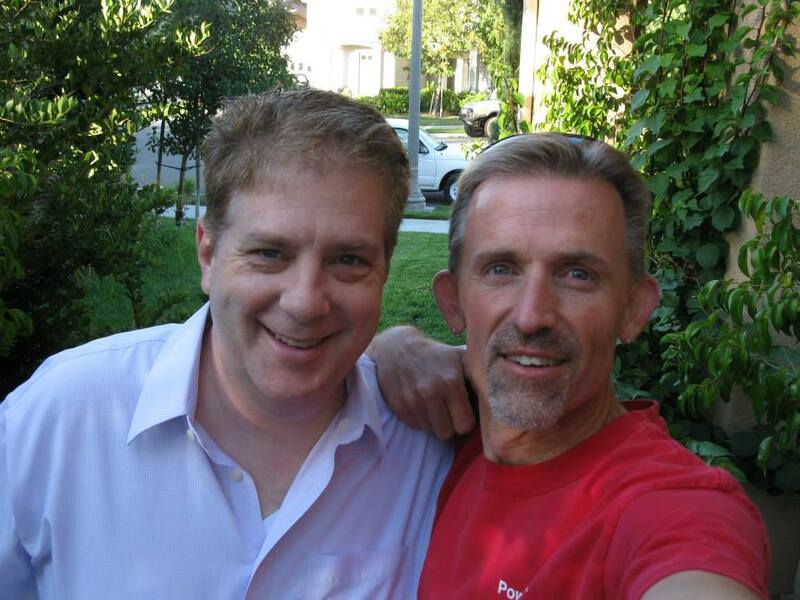 In the more than the three decades since I graduated from college in Portland, I have maintained a good friendship with classmate of mine. He now lives in southern California. I have been visiting him periodically in Utah and there now for nearly 30 years. 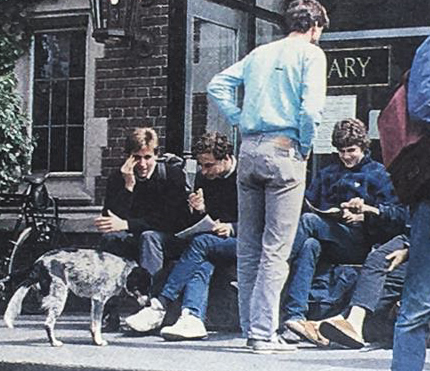 Rudy Owens, on the far left, and my friend are among this group of Reed College students shown here in 1987, in front of the Reed College Library. As we have aged together, we have encountered different and also similar challenges. I stayed single. I moved to more locations. He got married, got divorced, raised his daughter, became a river guide, succeeded professionally in a grander way than me, and always stayed true to his curious, creative self. Though we were raised in very different circumstances—him in a Jewish family in the West, and me in a Lutheran family with a single mother in the Midwest—we had more in common than I would have thought possible when we first got to know each other at our college library steps on long evenings. Last night we caught up on the phone. I was sharing my feelings of loss concerning people I am close too, including my mother. She is still mostly well, but her issues are ones I will not share in detail here. My friend also shared stories of his mother, who has passed away. Taken in 2014 in southern California during one of the greatest trips of my life. During that call, we experienced a moment of understanding that transcended our distance of nearly 1,500 miles and the time we have spent not seeing each other in person the past few years. I learned things about him I did not know. I also shared things about myself I seldom share with others. I am by nature private and stoic, and I have learned how to control my negative emotions and also my public displays of sadness or anger. I also realized during our talk about life and its inevitable end with death that my embrace of existentialism has given me the ability to confront these challenges I face more clearly. I told my friend that in suffering, we really can find purpose and meaning. And whatever I did as a result of these circumstances, I would be making choices to respond to the challenges before me. Those actions would be mine alone, and freely chosen. I was mostly telling myself these points, as I considered those actions yet to come with my mum. That is pure Viktor Frankl. But it is also how I can face up to what is inevitable on the road ahead. I shared these thoughts with my friend, and he listened in the right way. He did not need to do much other than let me know he listened. Mostly, I felt relieved to know I could unload to a friend and share my fears and also my resolve. Facing the world alone is not easy for anyone. Maybe it will be easier because I will have friends there to listen when the moment of the void arrives in full force.